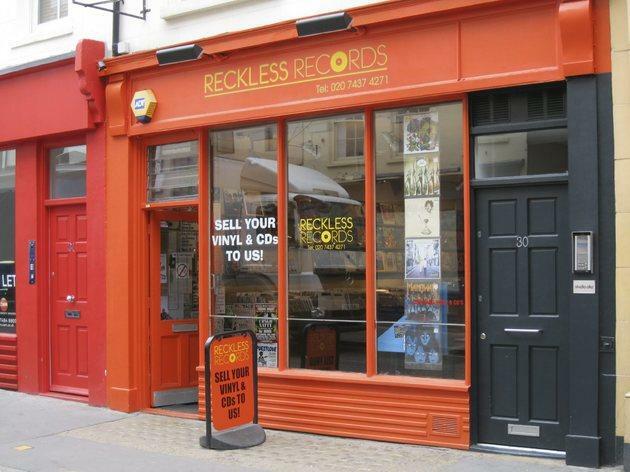 Having oscillated in the past between the Reckless and Revival names, this shop in Berwick Street sells everything from rare rock vinyl to classic drum ’n’ bass, as well as punk, reggae, jazz and a good range of original Mo’ Wax and Blue Note vinyl. 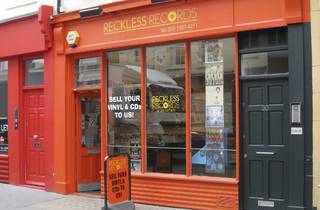 Reckless will buy most kinds of music (including CD box sets, limited editions and DVDs) and will make house calls for large buys. I wonder how this shop is still in existence with the awful service and terrible place! I went into their shop in Covent Garden and on asking whether I could listen to a couple of records to see if it was the style of music I wanted, I was told there were no turntables and the assistant behind the counter said 'it was a pain in the arse' that people bring music to the counter to listen to. Unbelievable. Shocking attitude. What if I brought the albums back because I didn't like them? Yes I could I was told, but I could have some sort of credit or whatever. I received the same sort of treatment in their Islington store last week. I asked If they had any Brazilian music and the assistant said it was in the 'Latin' section and said that he 'didn't like it.' Never mind I said, you are not buying it. I went upstairs and asked the assistant where Haggle Vinyl was which was in the same street. I was told it was closed. Just out of curiosity I went up to where I thought it was and Haggle Vinyl was open. I spent £100 in Haggle and nothing in Reckless. Also, maybe it is a Southern London thing, but I get the impression that people who work in record shops talk down to you and are a a bit snotty. What's the big deal anyway, most of their stock is just cheap vinyl and CD's, ie: rubbish. Reckless is a dump with terrible staff. Want to listen to what you are buying? Go to Sounds of the Universe, Phonica, Honest Jon's etc etc. Don't know about you, but I will never go to Reckless again. I think this is a really good record shop with a pretty good selection of vinyl and CDs of all genres. I've always found the staff helpful throughout the years I've been there and the prices are reasonable.It's not a huge shop so therefore you might not find what you go in there to seek out, but it is crammed full of interesting stock so you'll most likely find something else. I'm always glad that places like this still exist in an ever changing development fuelled area of Soho.